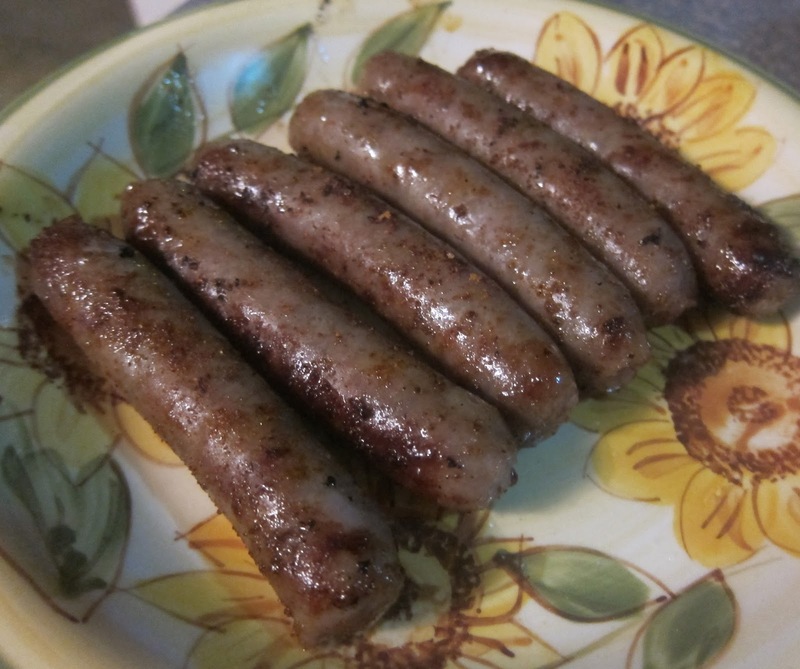 We use Johnsonville brats around here when we tailgate or want a hearty, yummy dinner on the grill, so I thought Johnsonville sausages sounded like a good bet when they offered me a couple of sample packages to try out the new lines. The Johnsonville sausage links are like the ones you get at restaurants or at the grocery store and generally brown in the frying pan for breakfast. The links would be great for a camp breakfast right on the grill as I did them or on a flat top or grill wok over the coals or gas flames. Here I went for Johnsonville sausage link appetizers. I shook the sausages up in a zip lock bag with Dizzy Pig barbecue rub. You could use any favorite barbecue rub. I do love Dizzy Pig. Then, I put the sausages on the grill to brown them and set the rub. This took literally a couple of minutes. My Weber grill fire was hot and ready. 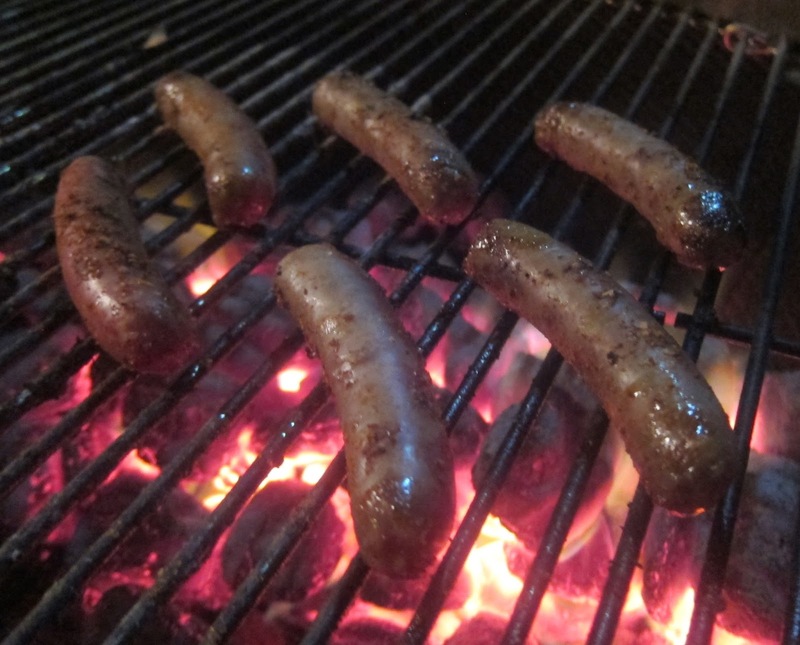 The smoky flavor from the charcoal and the Dizzy Pig rub gave the Johnsonville links a really nice flavor. My son (who prefers mild flavors) loved these as appetizers with lightly spicy mustard. I enjoyed them too but kept wishing I had some scrambled eggs. I guess I'm old and set in some of my flavor ways. I'll make my eggs too next time. Whether you want good tasting sausage links (and I've had some that were not so tasty) or want to flavor these up with rub and serve them with mustard, the Johnsonville sausage links grill up beatifically and the actual sausage flavor is very nice. I'd like a spicy option, but I can always spice things up. Johnsonville also has sausage patties out along with the links. I'll have to give those a try too. We love breakfast around here and especially biscuits and sausage gravy. You may also want to try our Johnsonville beer brats recipe. That is one of the family all-time favorite grilling recipes.